Juana was sitting outside in the gardens of Calabria, territory part of Naples which in fact she absolutely loved it there in Calabria and Taranto very much so as well as in Naples. Having visited here the first time in a few months, she knew she had grown up in Taranto and Calabria most of the time but visited often to Naples to be with her family in the past. Looking over her servants brought her some wine and small bits of food to snack on, fruits and healthy things to be exact. Juana had much to think of for the future at hand now that she was Queen in her own right. Soon she was told a guest arrived and she signaled the servants to welcome them in only to see a man from England arrive, looking at him she sat there in her chair under a large umbrella to shelter her from the hot sun and the servants waved fans gently to keep her cooled down as best they could. "My lord." she says to him. "Your majesty lord Thomas Howard, Duke of Norfolk. "You have a very beautiful kingdom my lady. How are you and your family? "Ahh yes, my family are quite well. Even my own son and heir grows most strongly, I assume he will be ready one day to take my place as King when the time permits him old enough to do so. Although I know I will have to find him a bride to arrange him in marriage with but as a mother I hope he can marry for love as well." "And you your grace, what of your family, are they well?" "My journey was indeed a very safe journey and most pleasing thank you Your Grace. I am happy that you welcome me into your fine kingdom. Your son one day will grow strong and i am sure he will make a fine ruler too" i say as i looked at her once more. "My family are indeed well thank you my lady and my niece queen Anne is in confinement soon to give birth"
"How is your King your grace? I know I have been considering forming alliances with other countries, my advisors suggest England would be a worthy candidate to form alliances, Would your grace agree?" I listen to her words about her son and i smiled. "I think that your son would grow to be a great king my lady especially when he has a mother like yourself to guide him. When the time comes for him to wed perhaps as only a suggestion of course that you look at possible English brides for him as there are many fine English ladies that are unwed in England" i say as i looked closely at some flowers that reminded me of my wife. "His Grace is in very good health and as you can expect he is excited about the birth of his child too. An alliance with England would be a perfect choice Your Grace but it would be your decision of course"
Juana's eyes met with his listening with intent to his advice and kind words and smiled at him "That is very good news to hear, and yes if your grace would be kind I should like to send something with you to his majesty the King, Perhaps he will consider my offer and come to a agreement with me and forge a alliance between our two countries. The Pope of Rome I hear has been difficult with his majesty but as a Catholic like his majesties heart truly remains I hope our Kingdoms will get along as rulers." "My lord Thomas, I am to travel to England. If you would be so kind I must take my leave for England now, I will probably see you again will I not?" I look at the young queen. "I shall be honoured to take your letter to his Grace my lady as he will indeed welcome you openly to England i am sure. I may advise however my lady that you do not talk of the Catholic faith in England for her Grace follows the Protestant religion. You say your husband was from England perhaps i know him?" "After all the Protestant faith I hear spreads fast throughout Europe does it not." Juana spoke once more to him "I will travel to England momentarily, if you would be so kind tell your King that I will be coming to meet with him. I would be very grateful for it your grace." she spoke politely while standing there. Once hearing his question on her husband she smiled "Yes, he is the Duke of Northumberland, John Dudley's younger brother, Gerome Dudley." " I can assure you your Grace that my niece queen Anne welcomes all to her kingdom i was just making you aware that things may look different in England as we follow a different faith. Queen Anne is currently in confinement soon to give birth as well i hear too. You need not worry my lady i sent word forward to England to Master Cromwell who has agreed to inform his Grace of your arrival. You say that Gerome Dudley is your husband my lady?" Juana nodded to him "Thank you your grace, sending this Master Cromwell word of me coming to England. I shall prepare my travels at once" she says and signals the servant to ready her things for travels "Yes your grace, Gerome Dudley is now my husband and King of Naples and Jerusalem at my side." she told him truthfully "The servants will get you anything you need, I must go now and ready myself for my journey to England, you may accompany me to England if you wish to do so." she says and readies herself to board the ship to go to England. She goes to the http://thetudorsworld.yetkinforum.com/t509-corridor where she meets with master Cromwell for the first time. "I will return to England tomorrow my lady and perhaps we can talk further in my private chambers at the palace and i can show you more of England and it's beautiful countryside. Would this please you your Grace?" 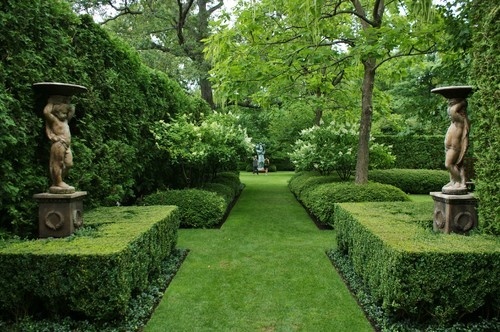 Juana nods to him agreeing to the idea then leaves the gardens to go to England.